Do you need professional mold remediation services for your home or business in Atlanta, Georgia, but don’t know what to expect? Once you’ve chosen a mold removal company with the proper qualifications, they will talk with you about the signs of mold that you’ve observed and schedule a visit your home or business. If you suspect you have a significant amount of mold growing indoors, but you haven’t fully identified its location, the mold remediation company will perform a thorough visual assessment of your property, looking in places that could support mold colonies. 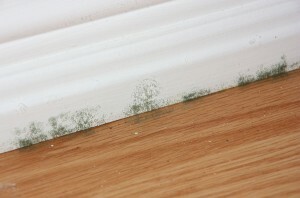 In particular, they will look in dark, poorly ventilated areas that have a source of moisture nearby. During this inspection, the specialist may need to look behind drywall, under carpet, and in other concealed areas in their search for mold. If they need to test air samples to confirm the presence of unseen mold, the mold remediation company should hire an outside firm to perform the testing, so they can avoid any apparent conflict of interest. If the company you hire does identify mold in your home or business in Atlanta, GA, they will then propose a mold removal plan. The nature of the problem will determine what methods and equipment they will use. Any qualified mold remediation specialist will have water extractors, containment barriers, air scrubbers, disinfectants, and preventative treatments at their disposal to eliminate the mold and prevent it from returning. To hire a mold remediation company that will make this process as easy as possible, look to Abatement Solutions. Unlike the companies that only offer mold removal services on the side while they focus primarily on another line of work, we specialize in mold treatment, so we have greater expertise at identifying, removing, and preventing mold growth. For a prompt and effective solution to your mold problem in Atlanta, GA, contact Abatement Solutions today.